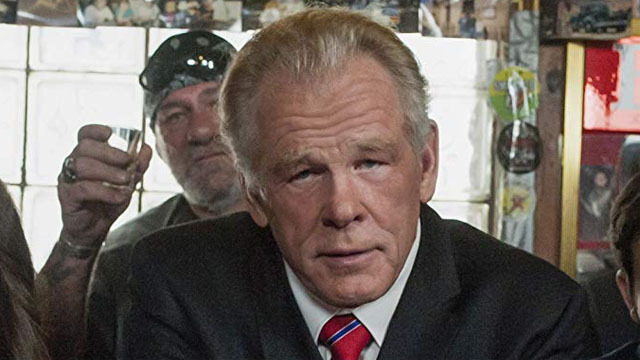 According to The Hollywood Reporter, Nick Nolte is the latest actor to join The Mandalorian, Disney+’s upcoming Star Wars series. However, there are currently no details about whom he will portray. While the series has already started production, the report notes that it’s “not clear how much costuming and visual effects each actor will get.” It also states that not all of the main characters will appear in every episode. Nolte is primarily known for his feature films 48 Hrs, Down and Out in Beverly Hills, Mulholland Falls, Cape Fear, and The Thin Red Line among others. His genre credits include Ang Lee’s Hulk and The Spiderwick Chronicles. Nolte also recently starred in the EPIX original series, Graves. The Mandalorian will star Pedro Pascal as the title character. The show will “follow the travails of a lone gunfighter in the outer reaches of the galaxy far from the authority of the New Republic.” It will take place a few years after Return of the Jedi. Deadpool co-star and former MMA fighter, Gina Carano, will co-star in the series. Currently, only Pascal, Carano, and Nolte have been confirmed for the show. Jon Favreau is executive producing and writing The Mandalorian for Lucasfilm. Star Wars animation veteran Dave Filoni will executive produce the series and direct an episode. Taika Waititi, Bryce Dallas Howard, Rick Famuyiwa, and Deborah Chow will also direct episodes of the series. Disney+ will presumably premiere The Mandalorian in 2019, after the launch of the streaming service. Are you excited to see Nick Nolte join the Star Wars universe? And do you have any theories about who he may play? Let us know in the comment section below!